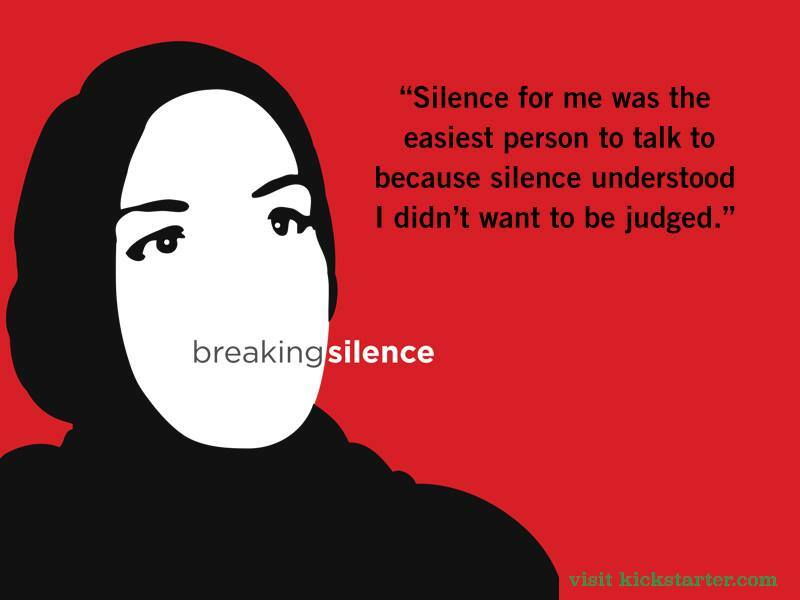 Now in filmmaker Nadya Ali's upcoming documentary called "Breaking Silence," they narrate their stories and the process of coping and coming out to their friends and family. "Who you tell and what the response is can be very indicative of how you [as a survivor] can continue to cope and heal or not," said Navila Rashid, a forensic social worker and participant in the film, at a recent event highlighting the documentary. Saying things like "I'm so sorry this happened, I can't make this better for you and I am here for you," can help a lot more because it validates the survivor, acknowledges their pain and expresses support for them. 2. Don't try to problem solve. Often we ask questions because we're trying to understand what happened in order to find a solution or digest the trauma. But it's hard enough for that person to share her story, let alone answer questions about the physical or logistical details of the event. There can still be a lot of anger and shame the person feels, and she may just want to share the story without the burden of explaining it in depth. When a survivor shares her experience, it's clear she has processed some of it or has shared it before. Getting her to talk about how she feels or where she's at in the healing process can be helpful. And if she doesn't want to talk, silence is okay. 4. Refrain from minimizing the survivor's experience. Comments like "well, at least it wasn't worse" or "at least this didn't happen" can appear dismissive or diminishing. At the end of the day, a survivor's suffering -- regardless of the severity -- is enough to warrant counsel and support. 5. Don't make comments that indirectly blame the survivor. Questions like "what were you wearing?" or "are you sure you weren't interested?" or comments such as "It's because you don't wear hijab" can cause survivors to blame themselves, thus making them feel more confused and isolated. They also create an atmosphere that inadvertently absolves the perpetrator of his crimes. Additionally, just because a survivor didn't violently protest or there were no signs of physical resistance, it doesn't mean she was not assaulted. 6. Making violent statements doesn't help. This applies to men, especially. Statements like "Where is he? I'm going to beat him up" are not always helpful. That rage comes from a place of love, but when the survivor is telling you something serious and emotionally draining, an angry reaction doesn't help her process the trauma any more. In fact, it can make her feel guilty for placing an undue burden on you. Again, be calm and just listen. 7. The person who's telling you may not be very close to you. Listen anyway. Sometimes, survivors get to a point where they are holding in the trauma for so long that they open up to whoever happens to be there, even if the person isn't close to them. In that case, it's still crucial to stay silent and be a source of support. If the survivor's assailant is someone you know, a common reaction is to go into denial. When you go into denial you claim that the survivor is making something up, which can perpetuate that trauma significantly more. It's important to understand that anyone is capable of committing sexual assault, whether a relative, friend or community leader. By sharing this story with you, the survivor shows that she trusts you, so treat this information with sensitivity, don't gossip about it with others and respect her privacy. By addressing how our responses to survivors play a critical role in the healing process, the women show that dealing with sexual assault should not be an individual's burden alone, but a collective responsibility we embrace with compassion and the utmost care. *The feminine pronoun is used to reflect the reality that many victims of sexual assault are women.